Whether you are a teacher or a student we hope you find the following links and information stimulating and useful. J.B. Priestley’s famous play, An Inspector Calls is a set text at GCSE level. What follows will provide some interesting background information about the play, its history, the political and social factors that shaped Priestley and its writing and The Royal National Theatre’s groundbreaking production. An Inspector Calls is the story of the wealthy middle class industrialist Arthur Birling, his wife Sybil, son Eric, daughter Sheila and her fiancé Gerald Croft. As they celebrate Sheila and Gerald’s engagement they are visited by the mysterious Inspector Goole who forces them to examine their responsibility in the sacking, pregnancy and suicide of a young girl called Eva Smith. The action of the play is set in 1912 before the outbreak of the first world war. Because it was written at the end of the second world war in 1944 it offers a clear comparison of the world at these two crucial moments in history. In 1944 people were questioning whether they wished to return to a world of Edwardian style values or break out and create a new world. Priestley was one of the foremost advocates of political and social change from the 1930s right up to the end of the second world war. The Inspector is the central figure in the play. You may wish to ask yourself who he is and where he comes from. One possible interpretation is that he is some sort of time traveller who has come back in time from 1944 to try and give the Birlings the opportunity to share their guilt, accept responsibility and change and improve the spiral of their lives. If they can change, then they can shape a different society – one that can collectively avoid the bloodshed of war. He is Priestley, his character is a vehicle for Priestley’s own views. He is a dramatic device to develop tension and to drive the play forward. He is God, all seeing and all knowing who has come to teach the Birling family a moral lesson. He is a real police inspector. He is the Birling’s conscience come to haunt them. Priestley wrote the play in one week in the autumn of 1944. After failing to find a suitable theatre in London he sent a copy of the script to Moscow. As a result it was first produced by Tairov’s Kamerny and The Leningrad Theatre Company simultaneously in Moscow in 1945. It was a huge success and a European tour followed. At last it reached London and was produced at The New Theatre in October 1946 with Alec Guinness as Eric Birling and Ralph Richardson as The Inspector. Since these early productions the play has been produced all over the world and in many languages. A staple of repertory, the play was revived and reinvented by Stephen Daldry and the Royal National Theatre in the early 1990s. It is now regarded as one of the greatest plays of the Twentieth Century. Born in Bradford in 1894 Priestley was a reforming patriot who had an instinctive understanding and empathy for the less fortunate members of society; he believed passionately in social justice and the widening of democracy. He was never a member of the Labour Party, but described himself as a left-wing intellectual and a socialist of the old style. Three factors were vital in his upbringing. Firstly, living in Bradford he saw at first hand the consequence of a class of people working long underpaid hours, living in squalid, crowded housing along dirty streets. The second great influence on the young Priestley was his father, Jonathan. Jonathan Priestley was a pioneering school teacher who believed that helping the less fortunate was no act of duty, but a moral obligation – a way of life. As Headmaster of Green Lane Elementary School he administered the first free school meals in the country. His school also provided free milk, free medicals and had the first school baths in the UK. Jonathan Priestley inspired his son to be honourable, brave, hard working, unselfish and public-spirited. Although Bradford and his father were of enormous importance in forming Priestley’s outlook it was The Great War (1914-1918) that proved to be the transforming event of his life. Before enlisting he had dreamed of becoming a local writer who lived in a cottage on the moors close to Bradford. The war changed all this. He saw at first-hand what the Inspector meant by men being taught a lesson in ‘fire and blood and anguish’. He lost virtually all of his friends in the war and emerged from it with a deep-rooted class consciousness. He blamed the officer class and believed till the day he died that the lies told to make young men enlist and the war strategies of the generals were responsible for the deaths of so many. The Bradford he returned to was a very different place. There was a sense of collective grief, too many men had gone away and had not returned. Priestley had lost virtually all his friends to the war. An ex-officer’s grant gave him the opportunity to study at Cambridge University, so off he went. He never lived in Bradford again. By the 1930s Priestley had become both a best selling novelist and renowned playwright. At this time he turned his attention directly to Social issues and was one of the first authors to tour the depressed areas of the country. His book English Journey (1934) was extremely influential and contributed towards a growing public consensus for social change that through the decade led to the 1942 Beveridge Report; the great reforming Labour Government of 1945; the foundation of the NHS; and the creation of the welfare state. Priestley was a also an advocate for the formation of a United Nations and equal rights for women. Be aware that Priestley saw the Second World War as a very different conflict to the First. He believed that the defeat of fascism was vital and that Britain played a just and heroic role overcoming what he considered to be forces of great evil. During The Second World War and just prior to the writing of An Inspector Calls Priestley also became the voice of the people through his famous Postscript radio broadcasts. Around 14 million people tuned in to listen to him on Sunday evenings. In these talks, and in other broadcasts, he began to paint a vision of a better world to come once the righteous war was over. He wanted a land fit for heroes, a society that had at its core social justice and equality for all. The opposite to the sort of world he’d returned to as a survivor of the Great War. In his lifetime Priestley wrote hundreds of press and magazine articles that engaged with a wide range of social, political and intellectual ideas. 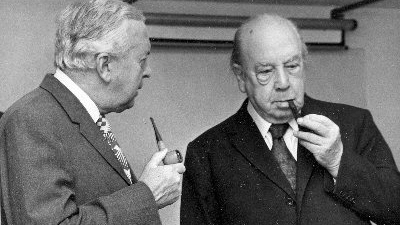 An Inspector Calls was not the only instance of Priestley being preoccupied about the well being of society and the world. He was an advocate of the formation of the United Nations and also a strong supporter of the formation of the National Health Service. 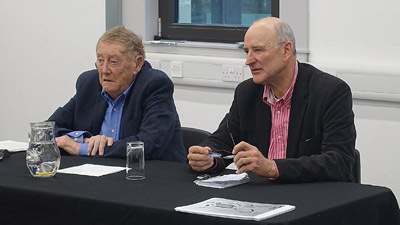 Later in life he became one of the founder members of The Campaign for Nuclear Disarmament, (CND) and also became a vocal critic of a mass consumer society and deeply distrustful of a money-lending elite represented by the City and banking executives. As well as wishing to entertain the audience, it is clear that Priestley wished to get across a message about responsibility and about morality. Priestley believed that if individuals behave more responsibly towards each other then the world can be a better place for all. In An Inspector Calls each of the Birling family is found to be responsible in pushing Eva Smith towards suicide. The Inspector is not concerned with bringing charges against the Birling family, as their individual actions and attitudes do not break any laws. Instead he explores whether or not their behaviour is morally right and responsible. Responsibility, to Priestley and Inspector Goole, begins at home with individuals. If individuals take responsibility for their actions then this will ripple out into Society to make the lives of the majority of people better. It will also lead to the prevention of war. Individual responsibility then leads to collective responsibility. We all should be or try to be responsible for each other and work towards common shared goals. We now live in a very individualistic, consumer-driven Society, far removed from the times Priestley lived in. It is worth thinking about the two quotations below. 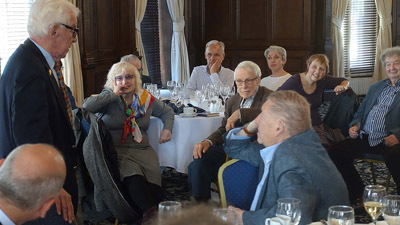 They show a clear difference in thinking between what the world was like in 1944/5, what it had become by the time Priestley died in the 1980s and also what it was like in Edwardian times, when the play is set. In the play Priestley seems to be suggesting that individuals have a duty to behave and act in a manner that will enable all members of society to benefit in ways that would not otherwise be possible on an individual basis. He did not believe that we live entirely in isolation and that we should be motivated solely for individual gain and look after only ourselves and our immediate family. Another theme of the play is time. Priestley was fascinated by time throughout his life. One great influence was the Russian mystic philosopher Peter Ouspensky (1878-1947). One of Ouspensky’s great ideas was that of ‘eternal recurrence’. This holds to the concept that the universe has been recurring, and will continue to recur in a self-similar form an infinite number of times. In other words everything happens again and again and again. Ouspensky believed that our time on the planet was spent travelling along an ever-recurring spiral and that the aim of all individuals should be to change and improve this spiral and stop making the same old mistakes. In all our lives we are presented with opportunities to learn and change and therefore swing out in a new direction. The Inspector comes back from the future or from some place outside time to offer the Birlings an opportunity to change – an opportunity they appear not to take. In the end they have learned nothing and so will have to go through it all over again. The Inspector makes several references to time throughout the play. How many can you find? Do other characters also make reference to time? In Stephen Daldry’s award-winning Royal National Theatre production of the play, there are clearly three different time settings: The Edwardian time of the Birlings; The Second World War time outside the house, illustrated by the young boy and girl who appear on the stage at the beginning and the costumes of the extras; and finally the time inhabited by the inspector, which appears to be time outside time along some sort of fourth dimension. Other themes in the play include Middle Class attitudes towards the poor and women; gender roles and equality and also the idea of public and private behaviour. Each of the Birling family and Gerald Croft all at some point in the play discriminate against and show prejudice towards the working classes (the poor) and women. Then, Once their role in Eva Smith’s suicide is known to them, the Birling family and Gerald Croft are very keen that nothing is made public. Their reputations appear more important than Eva’s life. This is particularly the case with Mr Birling. It could be claimed that in An Inspector Calls Priestley is trying to expose the negative and selfish private attitudes of the middle classes, particularly those (like Mr and Mrs Birling and the Croft family) who present themselves as respectable members of society and also morally upright public figures. There is so much that can be written about this play. We hope that this information and directed links have been helpful. We hope they will get you thinking about this great play and the man who wrote it.